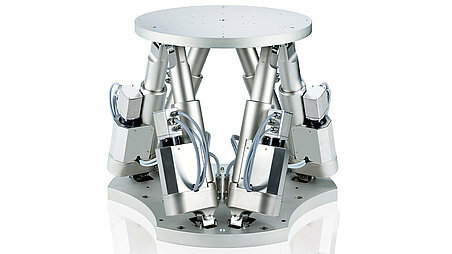 The new H-900KSCO Hexapod has a rotation range of up to 66° and achieves velocities of 520 mrad/s. 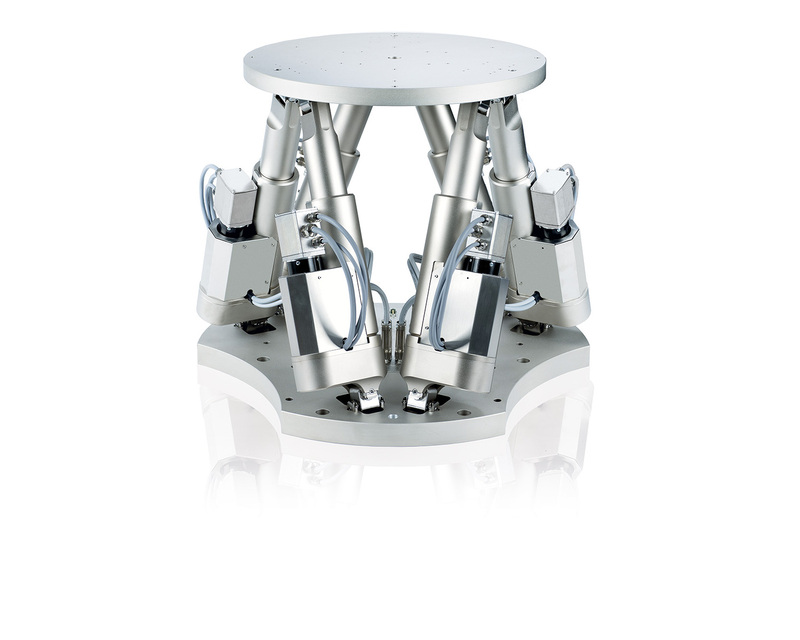 The new H-900KSCO Hexapod from PI has a rotation range of up to 66° and achieves velocities of 520 mrad/s. It is suitable for use in tool machines, in the automotive industry or shipbuilding, and realizes motion profiles according to ISO 20672, ISO 8728, and ISO 16328. It can for example, move a load of 30 kilograms around 25 degrees in six seconds. The H-900KSCO also offers travel ranges up to 200 mm in the XY direction and to 170 mm in the Z direction. The minimum incremental motion on all linear axes is 5 µm. The powerful C-887 digital controller takes control of the six Hexapod axes and two additional motorized single axes. It features vector control, a stable pivot point freely selectable in space and NI LabVIEW support. Position values can be entered simply as Cartesian coordinates. Optional software for avoiding collisions in restricted workspace is also available.